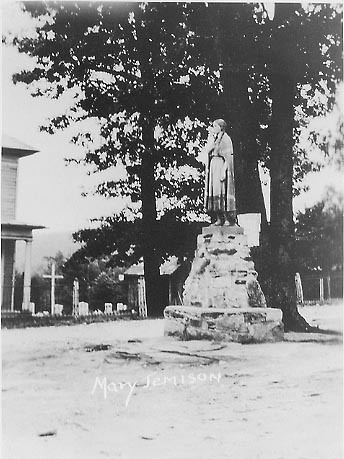 The Mary Jemison Statue is an well known landmark in Letchworth Park. 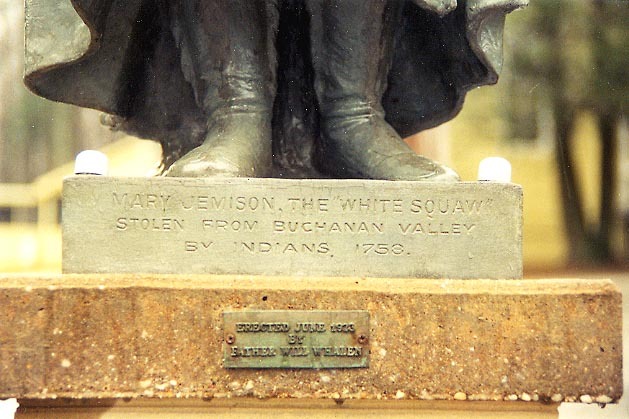 But did you know that there is another Statue to the "White woman of the Genesee"? 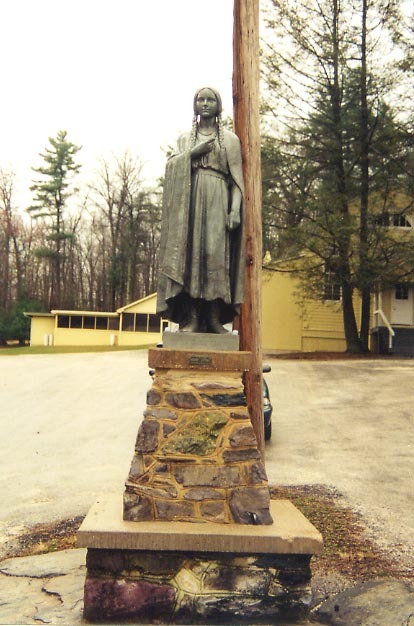 Not far from the famous Gettysburg battlefield in Pennsylvania is the "other" statue which we show below. Special thanks to Pete and Sue Piraino and their family who provided us with the modern photographs of the Statue. 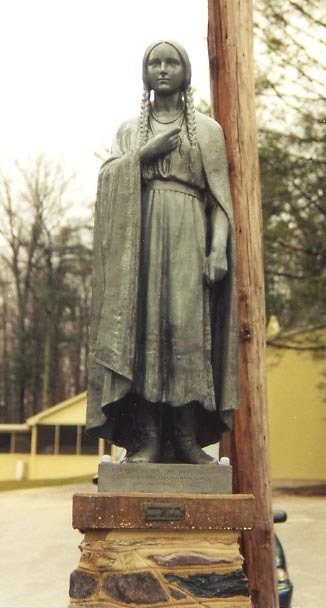 The statue was erected in 1923 by Father Will Whalen. Father Whalen was fascinated by the Jemison story and also published a small booklet entitled the "Red Lily of the Buchanan Valley", a fictional account based upon the famous story. On the title page to the 47 page story he wrote that it was "A romance founded on the life of the Irish girl stolen by the Indians from Buchanon Valley, Adams County, Pennsylvania, in 1878. 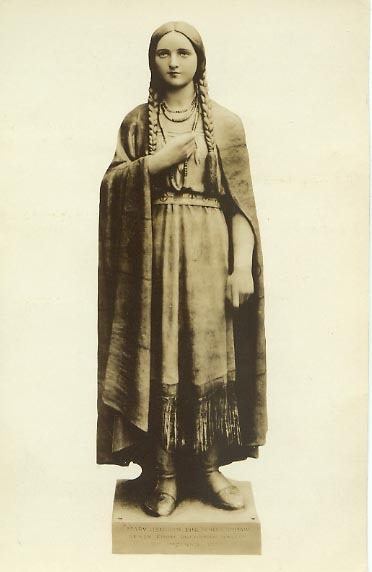 -- A story too strange and grim not to be true"
"Mary Jemison, "The White Squaw"
The smaller brass plaque says "Erected June 1923 by Father Will Whalen"
The image below shows the statue on the grounds of St. Ignatius Loyola Church soon after it was erected. The image to the right shows that the statue as it looks now. You can still see the statue on the Church grounds on Church Road, Orrtanna Pa. Directions to the Statue can be found in our Frequently Asked Questions!